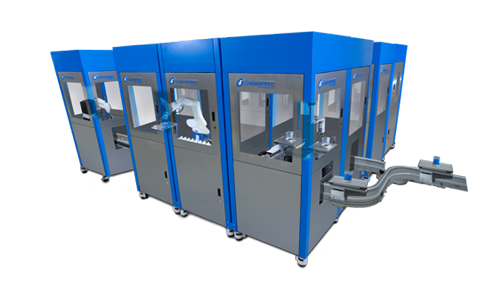 The FLEXSHUTTLE approach comprises a hardware and software concept which allows to automate virtually any combination of R&D workflow steps and functions. 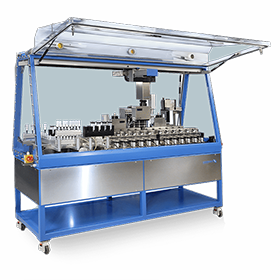 Systems adapted to your specific needs may integrate any steps from sample preparation to synthesis, formulation, application and testing of new products with an unreached flexibility and variability. 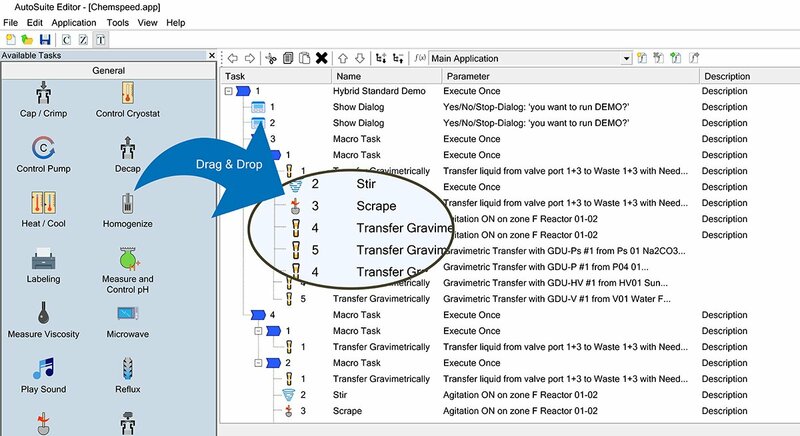 Decision guided workflows can be implemented in adjustable systems using fully automated IF/ELSE-functions. 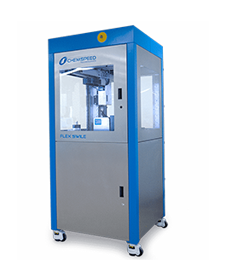 Independently programmable shuttles and branches for intelligent, adjustable and dynamic workflows are Chemspeed’s paradigm shifting answer for The High Output Lab of the future. 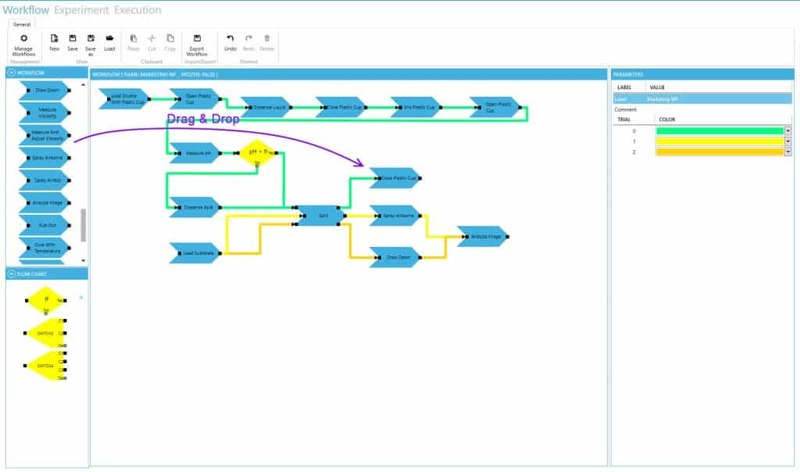 Top Layer: AutoSuite Workflow Management Software.